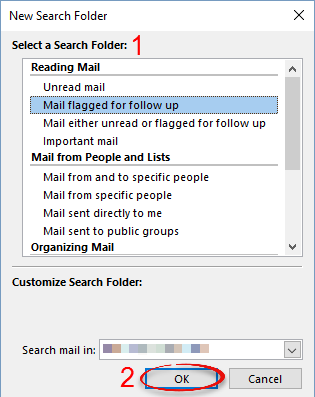 Search folders in Outlook allow you to organize your messages by a certain criteria, for example all messages that are flagged for follow up. Click the Folder tab, then select New Search Folder in the New group. Step 3:Select the criteria from the list. Click OK. 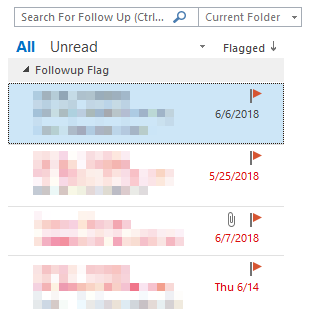 This example uses "Mail flagged for follow up." All of the messages that meet the criteria will be filtered out and displayed. This folder can be accessed through the sidebar.